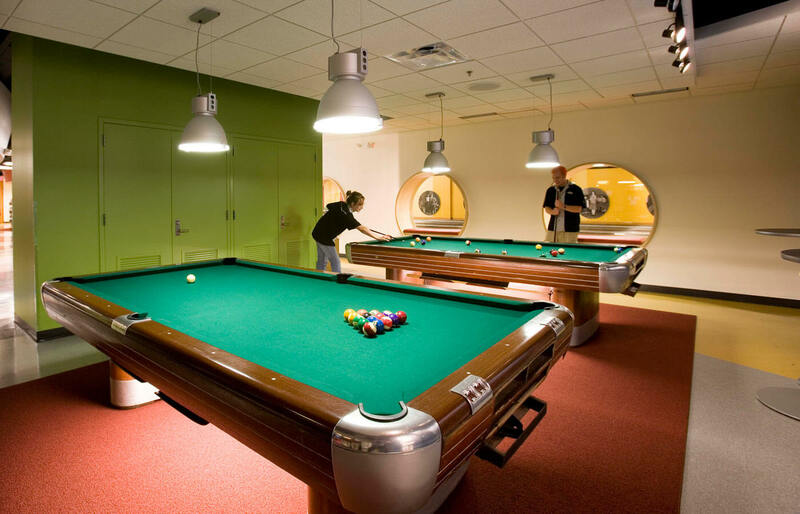 When Studio Hive began the renovation of the 9,000 SF Gopher Spot, the only entertainment establishment on the University of Minnesota’s St. Paul Campus, the design team was challenged with coordinating three disparate functions – a bowling alley, a convenience store, and a game room – while visually presenting them as one cohesive space. Windowed seats, carefully selected wall demolition, and a wider, more welcoming main entry all contribute to keeping functions within clear view of one another. 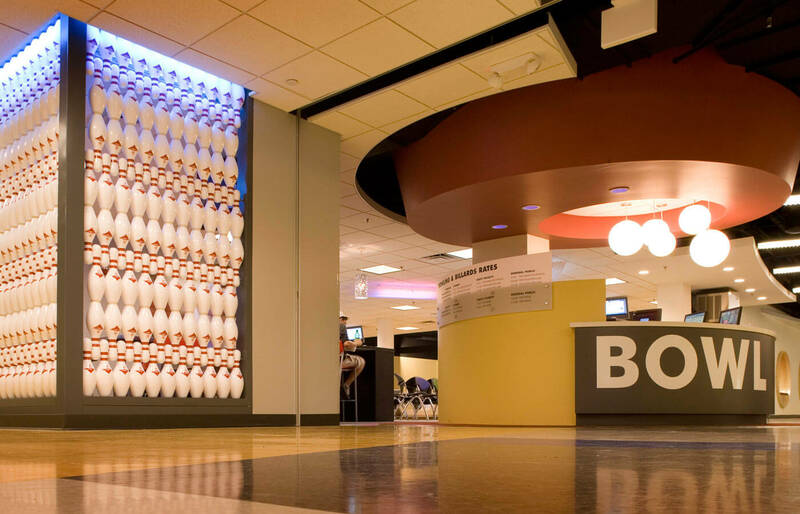 The use of bold color, large text, and a bowling pin feature wall communicate offerings and services within the space. 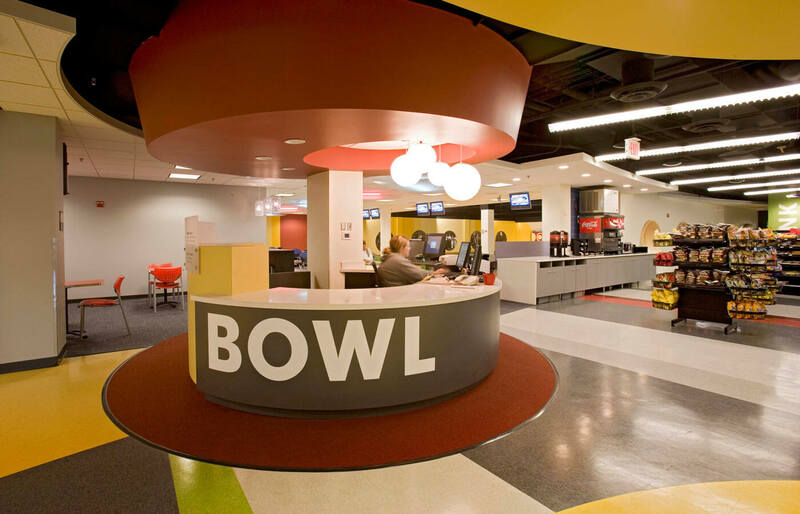 Circular window seats that link the convenience store to the bowling alley provide semi-private space for studying or lounging. 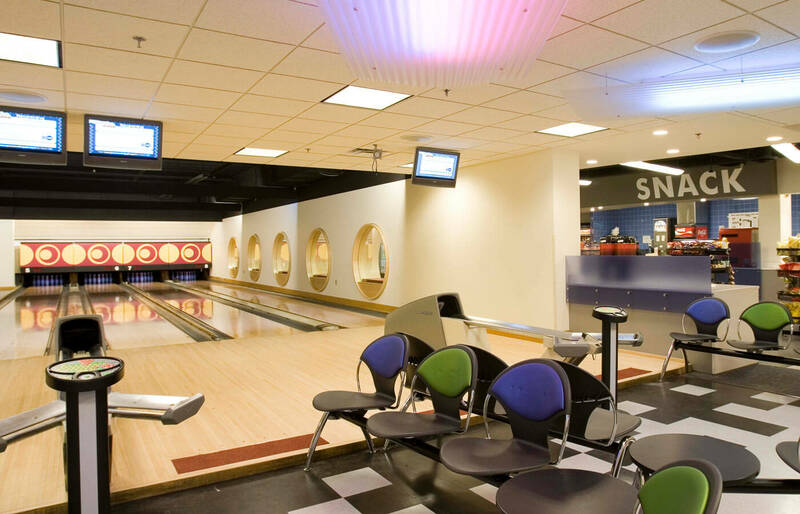 Equally critical to the success of this project was its ability to efficiently accommodate high user volume, achieved through multiple entry and exit points that provide a direct flow for patrons, thus alleviating pre-renovation congestion. 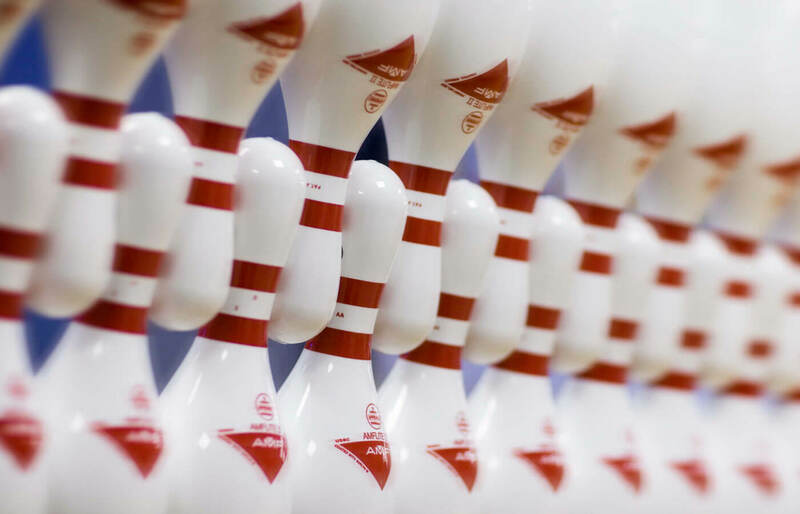 Because of this re-design, sales of convenience items increased an average of 30 percent, and reservations for bowling events reached beyond students and into the adjacent neighborhood.